For this review, “I rebel” and walk the path of someone who can’t find their way on either side of the Galactic Civil War. Abandoned by a rebel friend and hunted by the Imperial war machine, Jyn Erso lives life in a grey area of the galaxy. What is she to do when the rebellion brings her nothing but pain, but the Empire does nothing but cause pain for others? Nothing can stop the Empire! In the immediate aftermath of the first Death Star’s destruction, a new Imperial special forces team is formed to deal with the growing threat of well-informed rebel cells. And these aren’t just any run-of-the-mill rebels – these terrorists are the direct successors to the extremist Saw Gerrera! 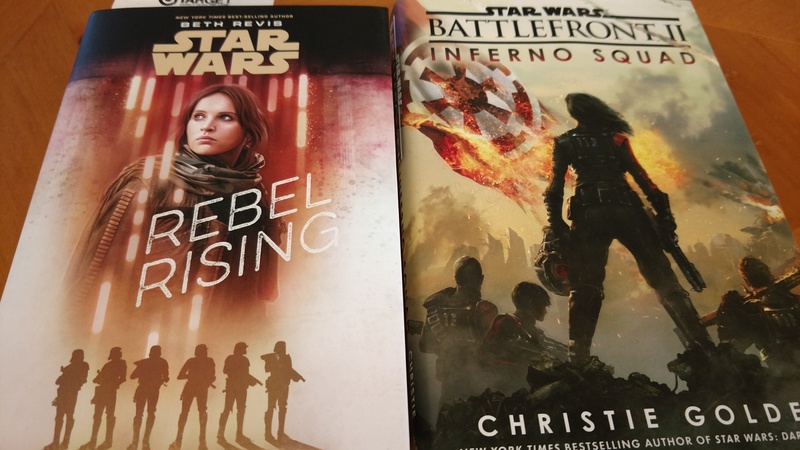 Read on to get some insight on the exciting Battlefront II novel from Christie Golden. Picked these up today and can’t wait to get started! It’s coming and there’s a trailer…_or the trailer.